Many prospects have asked me “what are the benefits of IDX Broker Platinum“? Well today we had a webinar for all the Developer Partners with IDX Broker and we reviewed a hand full of the new IDX Broker Platinum features, including mobile features. Top Producer users are going to really like being able to automatically connect IDX Broker to the back end of the Top Producer. There is also an API that allows developers to connect to any lead generation or CRM package. Stats and statistics. Nothing brings Realtors and brokers more happiness than MORE stats. IDX Broker Platinum has some great reports so that you can see which pages are getting the most visits by your visitors and clients. There are some really nice preferences settings. You can show your own listings before any other properties when a client or a visitor does a property search which includes one of your listings. Map Provider preference allows you to use either Bing or Google for maps. You just put in the API that you get from your map provider and you are ready to go. Mobile Wrappers can be set on or off. Some agents want to show ONLY the desktop version of the property search and they turn off the HTML5 IDX Broker Platinum settings. 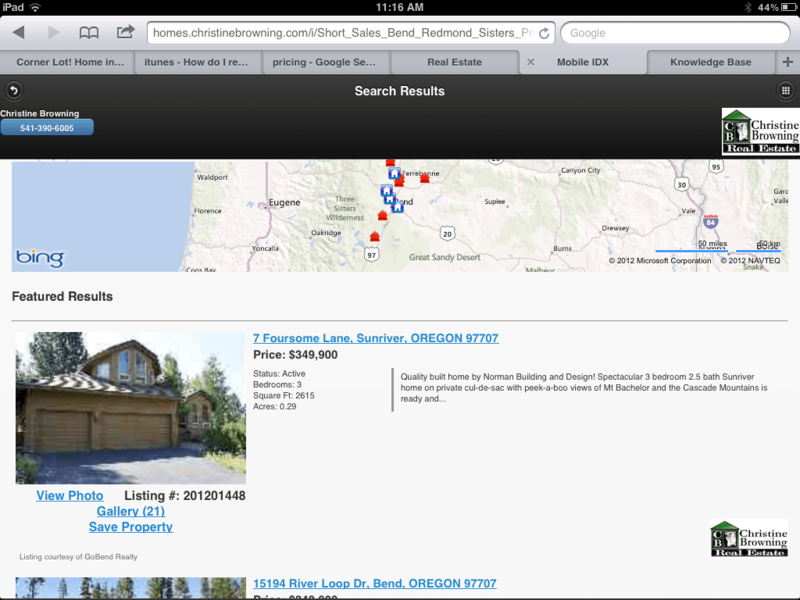 Saved links are a great tool for agents. We can get any search criteria and save them with a SEO happy URL that helps you get more Google Juice! These saved links come with custom wrappers. Each saved page can have a different wrapper. I am going to make some different pages for a client to test this out. I have had some people ask if we can have different looks for real estate microsites and for different add-on sites. This looks like a great way to do it! Agent assignment to saved links. This is another great site for real estate offices and brokerages who want to help agents drive traffic and leads through using IDX Broker Platinum. For example if I setup a home search for “Homes over $300,000 in Fort Myers Beach FL, with over 2000 sq. ft. and 4 bedrooms” I can assign all of these leads to Mark, so if a “non-tagged” visitor comes to the site and registers with Mark’s custom search, Mark will get all of these leads. I love this and think it can be a big game changer. Widgets. There are some great widgets that include slideshows, showcases, searches and more. These can be injected into your real estate WordPress site using WordPress widgets (soon!) or HTML code. You can change the layout and look of the different search pages, and even create your own search pages. Ok, we all loved the IDX Broker iOS app for iPhone and iPad, but this new HTML5 mobile responsive IDX Broker Platinum is way ahead of the game. It has some great tools and tons of customizations that can be done. One of the biggest features is that clients can sign in and agents can get lead capture or lead generation right from the mobile app. This is a huge IDX feature. If a user has been tagged to a particular agent in your office, then that agents contact info will show up in the app for the visitor or client. If you are an office or brokerage using IDX Broker Platinum, then you can upgrade your package online. This is a great feature allowing real estate managing brokers to determine who has access to the office’s integration of IDX Broker Platinum. There are even some cool agent bio pages with all of the agents listings showing. Very nice. Syndications. There is an RSS syndication and Trulia syndication built right into the back end of IDX Broker Platinum allowing agents to share those listings. Of course there are tons of other features for SEO on URLS, META Descriptions, META keywords and more. We will do a IDX Broker Platinum webinar in the next week or so to show off some of these features. Pingback: IDX Broker Platinum enabled website allows Georgia Area Broker Sharda Jones to Maintain a Phenomenal Track Record | RealtyCandy :: Real Estate WordPress AgentPress IDX broker :: All the goodies, without all the hassle.